Again, as part of my ‘Things’ to do, I’ve committed myself to complete a full sprint triathlon. Eeek. In practice for this, I decided I’d do a relay sprint the weekend gone by. I did the cycle element, my sister did the run and my cousin did the swim. 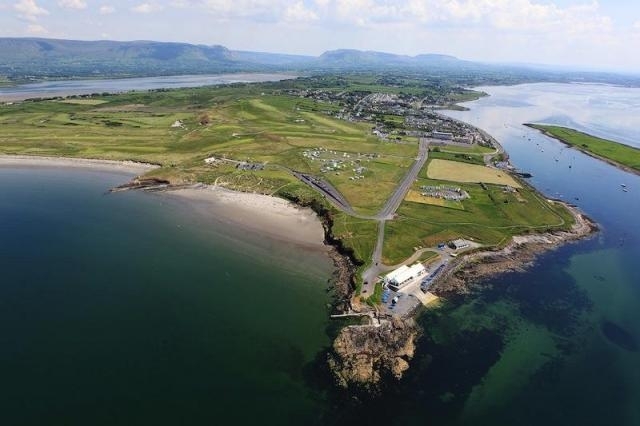 We headed off to Rosses Point in County Sligo on Sunday morning. As you can see above, it’s quite the scenic spot. The event started at 9 am on Sunday morning. The sky was grey and dark as I woke in the morning and it was quite windy. Nerves were high. But all went relatively well in the end. As our first relay sprint, we had hoped to finish in 1 hr 20 mins, but we finished in 1 hr 28 mins, which isn’t all that bad considering. I did the cycle in 45:32, which I was happy enough with. I’ve put my training program together. It’s an 11 week program. 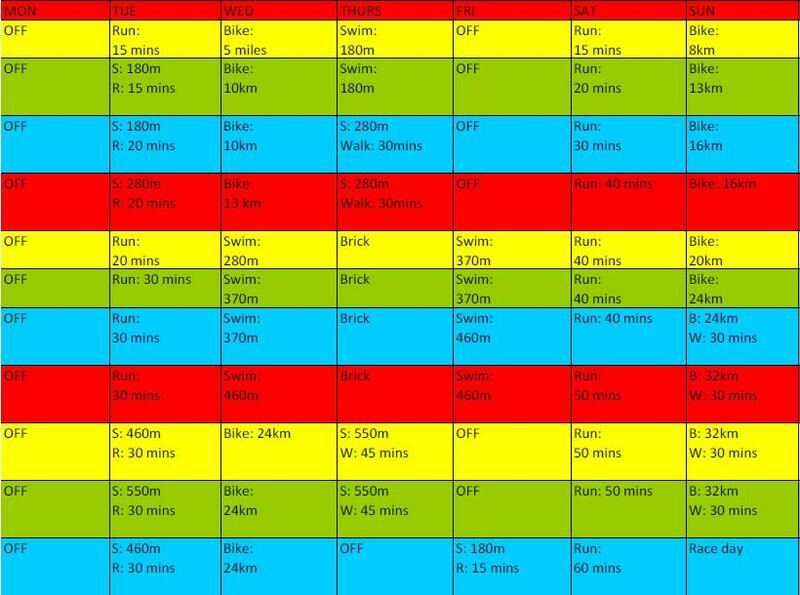 Hoping to complete this twice before the tri season begins, so I will be well fit for my first ever full sprint triathlon. I’ll keep you updated on my progress! This entry was posted in 101 Things, Fitness, Personal Development and tagged 101 things to do, brick, bucket list, cycling, Ireland, rosses point, rosses point sprint triathlon, rosses point triathlon festival, running, sligo, sprint triathlon, swimming, training program, triathlon ireland, triathlon training program, walking by Tasty Inspirations. Bookmark the permalink.